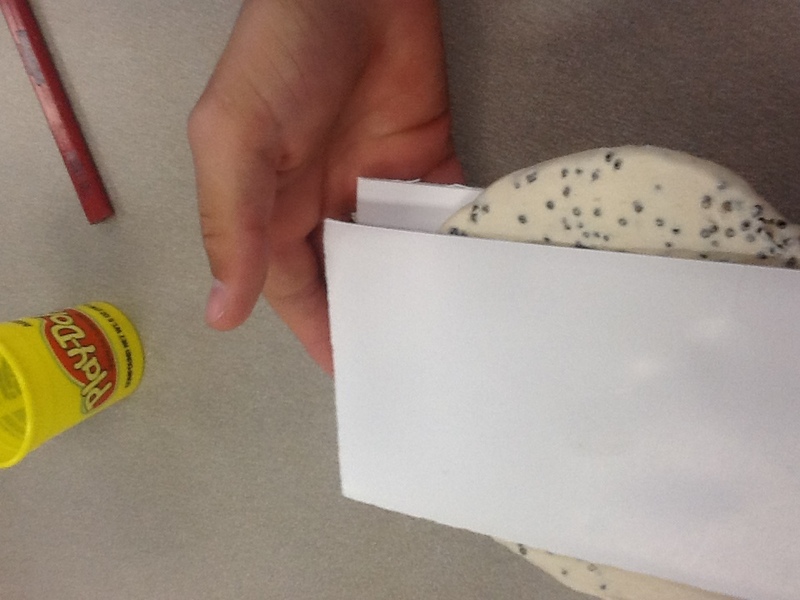 11/16 -High School Classes making life size cells. They were competing for who had the best cell and organelles. 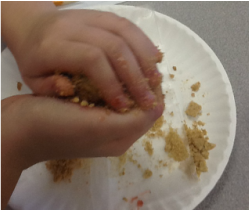 Between the two classes they made 2 plant cells and 2 animal cells. 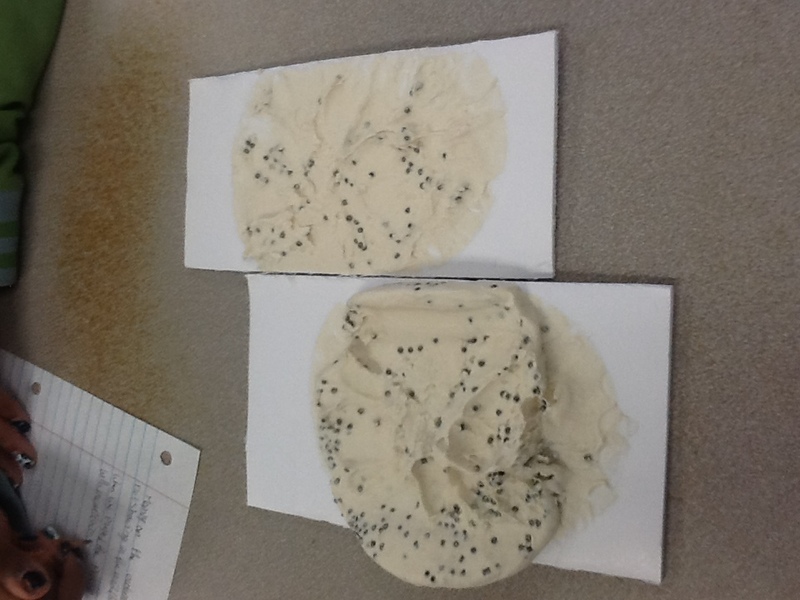 4th hour Biology won both catagories, but 5th hour's cells looked great as well. I think one class was campaining. Along with building the cells they had to make a presentation explaining the organelles they were in charge of creating. They all did a wonder job. 10/16 - Here is the high school class learning about corn. They planted and grew the corn that the disected. 11/16 - Here is the HS Robotics Club competing in the BEST Competition at WSU. This is the 1st yeat we have competed. 10/16-11/16 - The 7th graders worked on understanding the geological column along with plate techonic & boundries. They had a great time piecing and drawing the world part by part. 12/15 - Some of the 8th graders designed their own biomes. The students worked in groups. 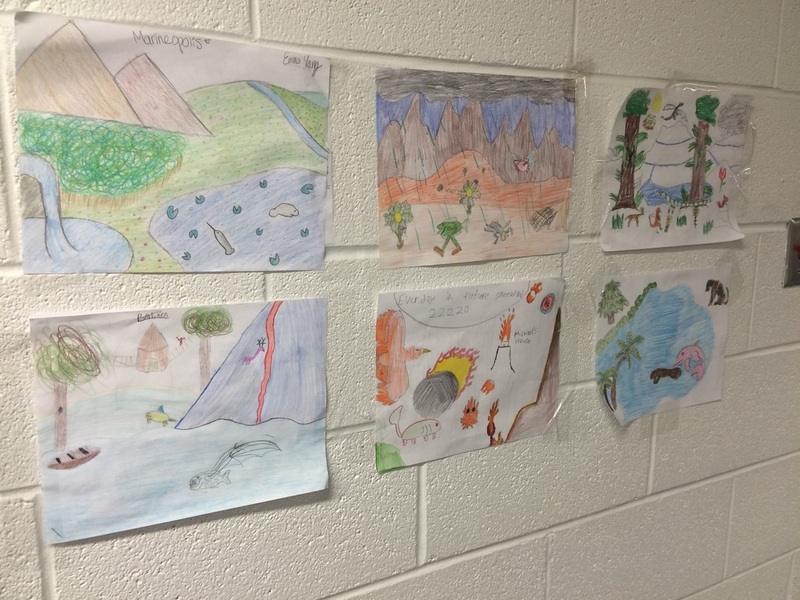 They had to have land forms, plants, and animals. They then presented them in front of the class. They had to tell us the about the seasons and what the weather and climate were like. They also had to tell us about the plants and animals that lived in their biomes. 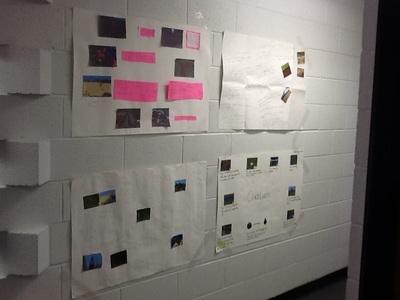 12/15 - The 8th graders have been learning about different biomes around the world. 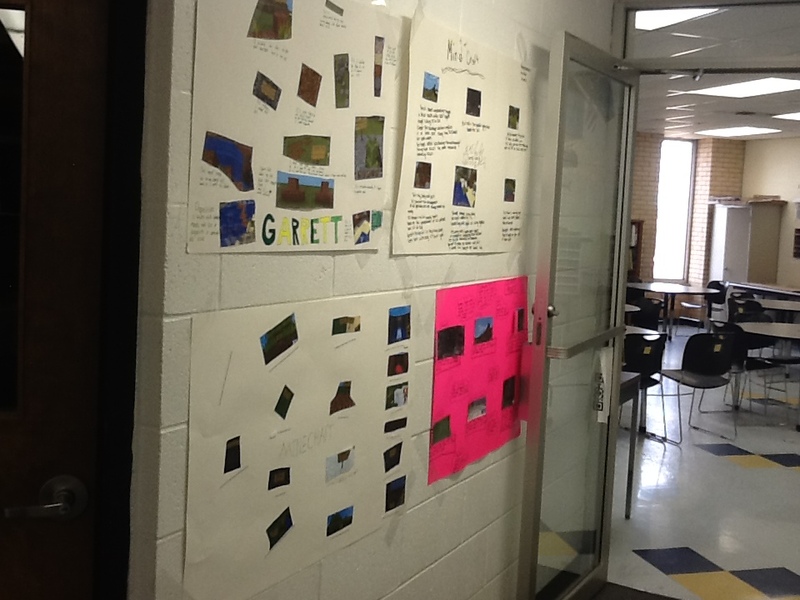 For a small project had to compare cities in the same zone, but different biomes. The two data points they looked at were average temperature and yearly precipitation. 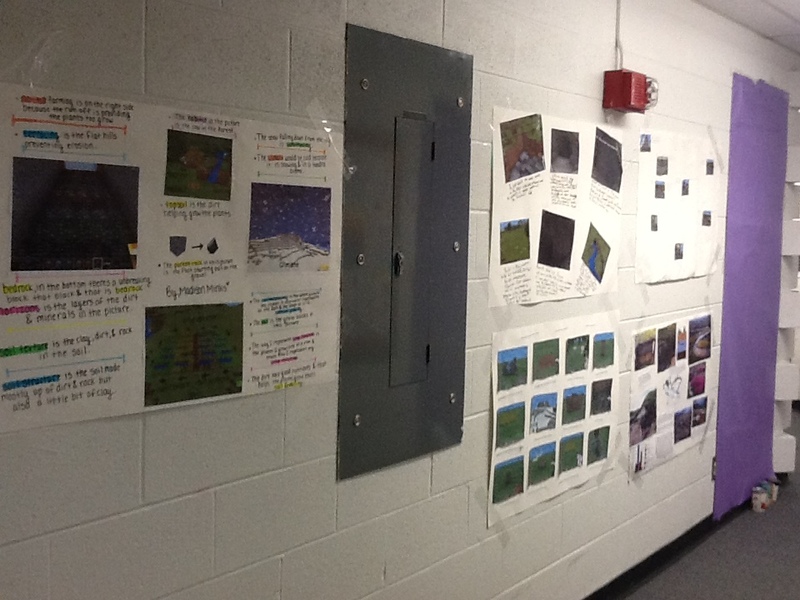 11/15 - The 7th graders have been learning about different types of structures of rock within the Earth. 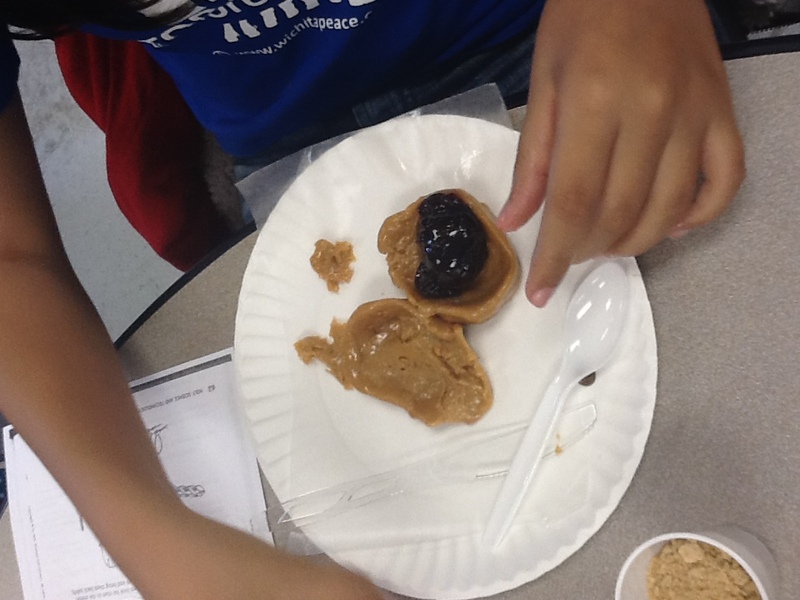 They were to make and label many different metamorphic, sedimentary, and ingenious formations. They worked in groups to complete the task. 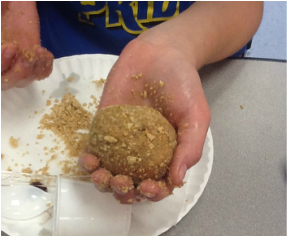 10/15 - The 7th graders have been learning about the different types of rocks. 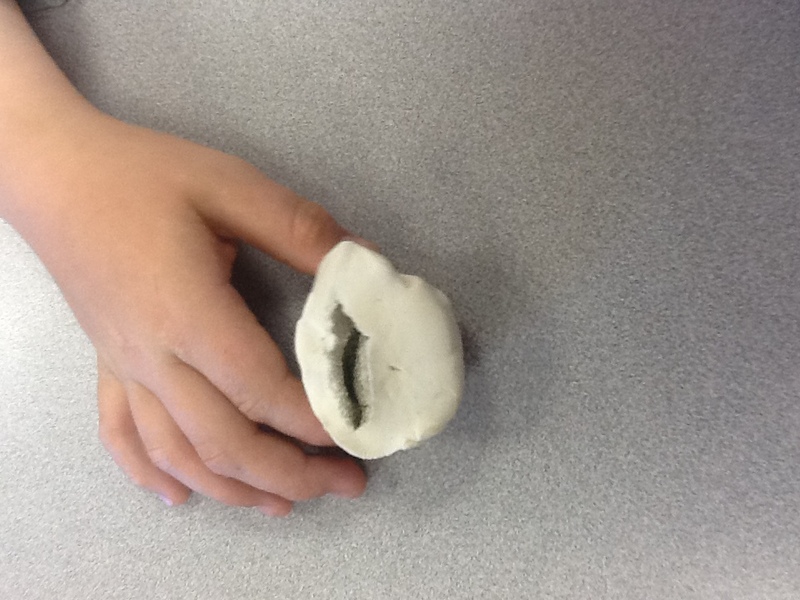 We went to see the different types of rocks that are used in a cemetery. They also learned about the need to take care and be aware of the weathering and deteriorating that occurs to the stones and rocks used within a cemetery. Then then wrote about their experience. 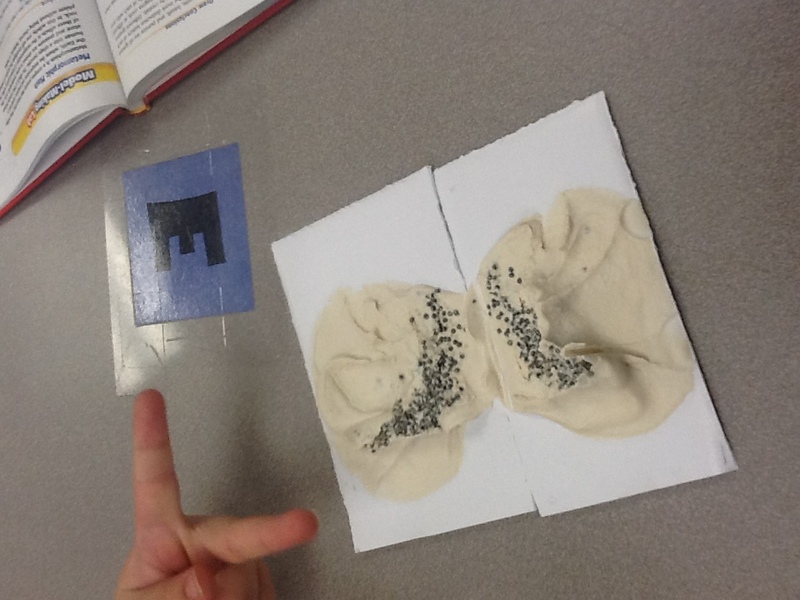 10/15 - The 8th graders have been learning about the 4 basic types of chemical reactions. 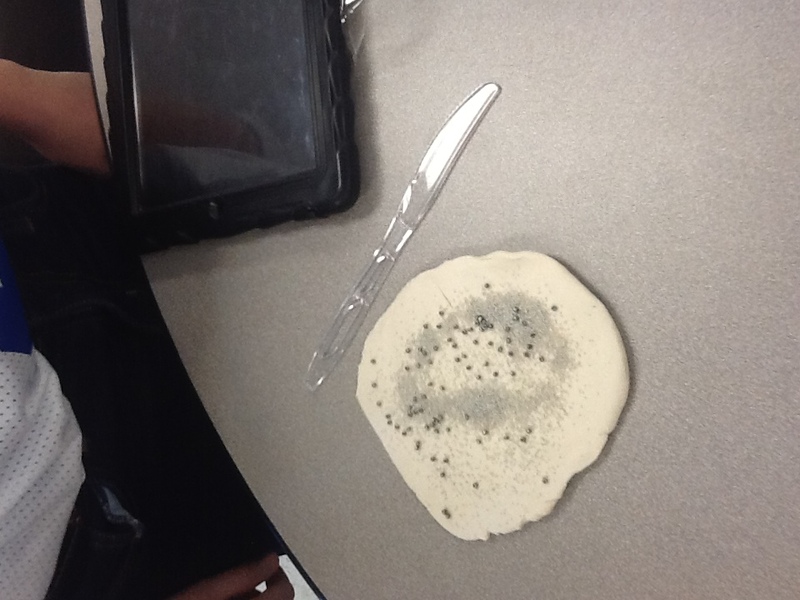 In lab they were able to see the different types and then write about it. They were very excited to see them in person, & not on TV. 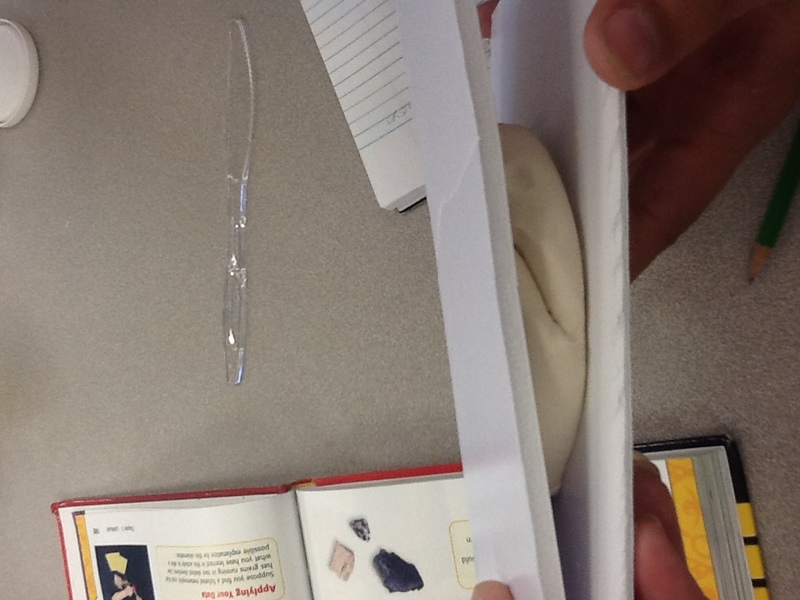 8/20/14 - The 8th Graders did an earthquake lab where they had to stabilize a plastic tub on top of two books with pencils in between them. They all did a GREAT JOB!! 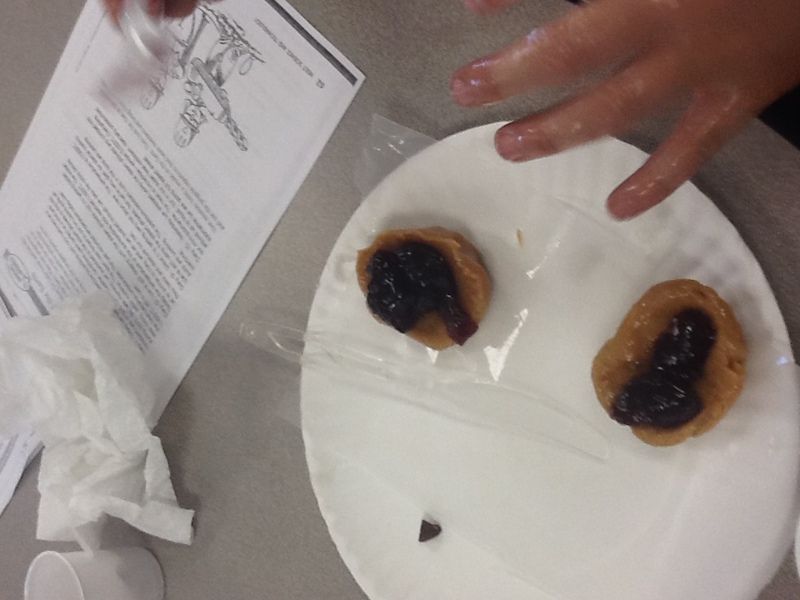 9/4/14 - The 7th graders did a lab called Metamorphic Mash. Metamorphism is a complex process that takes place deep within the Earth where the temperature and pressure affect rock. 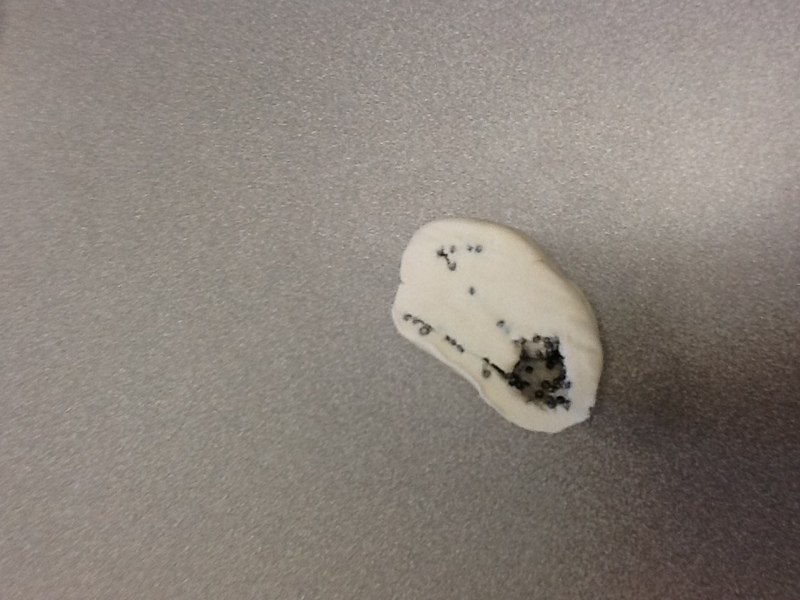 One of these effects is the reorganization of mineral grains within the rock. 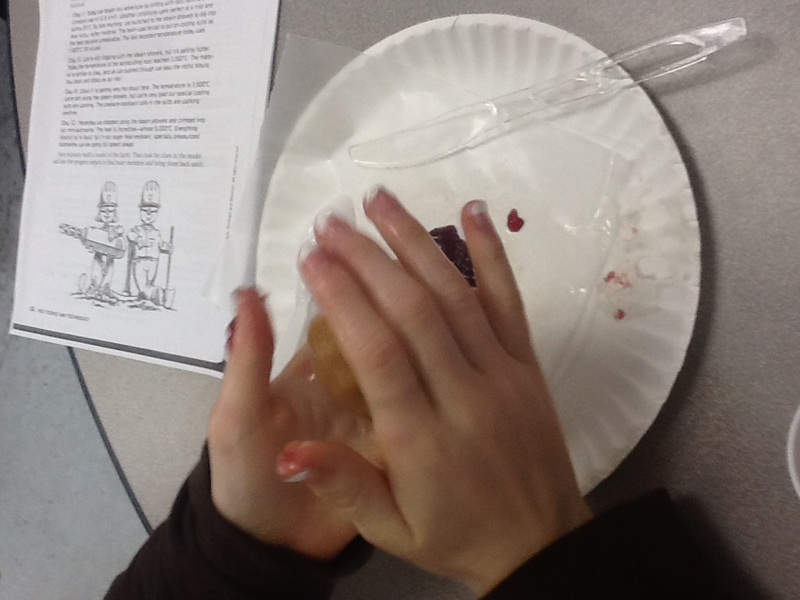 In this activity they investigated the process of metamorphism. 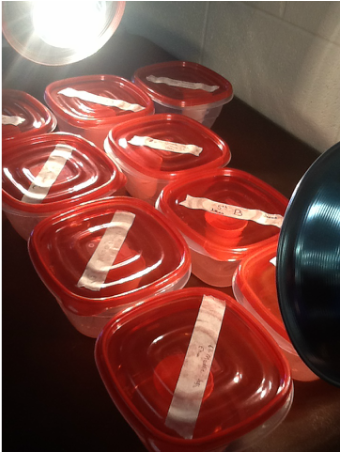 Here are the steps that they went through to learn this process inside and out. 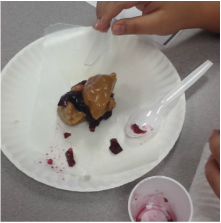 10/16/2014 - The 7th Graders did an edible science lab called, Rescue Near the Center of the Earth. First they read a fictional story of a group of explorers going to the center of the Earth. 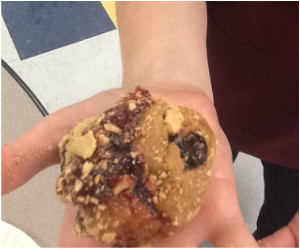 Then they made an Earth out of graham crackers (CRUST), a peanut butter mixture (MANTLE), jelly (OUTER CORE), & a chocolate chips (INNER CORE). After they made their Earth, they had to fill in a chart and answer some questions. When they were done with that, they could eat it, if they wanted to. Here are some photos of them working through the Earth building process. 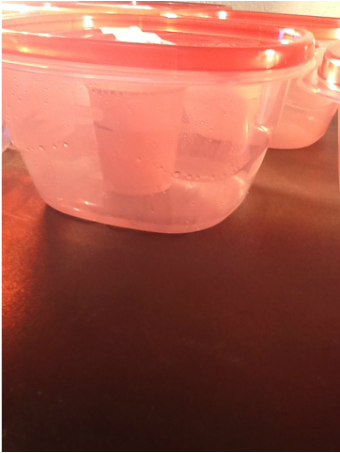 10/16/14 - The 8th Graders did a lab on the water cycle. 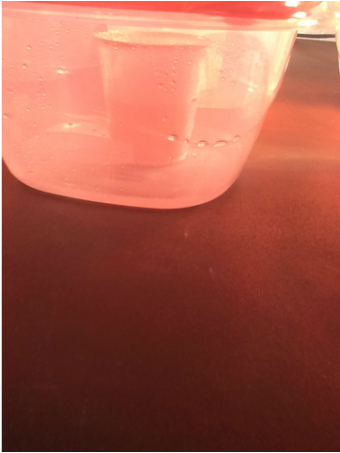 They had to place colored water in a sealed plastic container and leave it over night under a heat lamp. The next day they had to record the results and answer some questions. 11/10/14 - The 7th Graders turned in their big project on Soil Formation and Weathering. 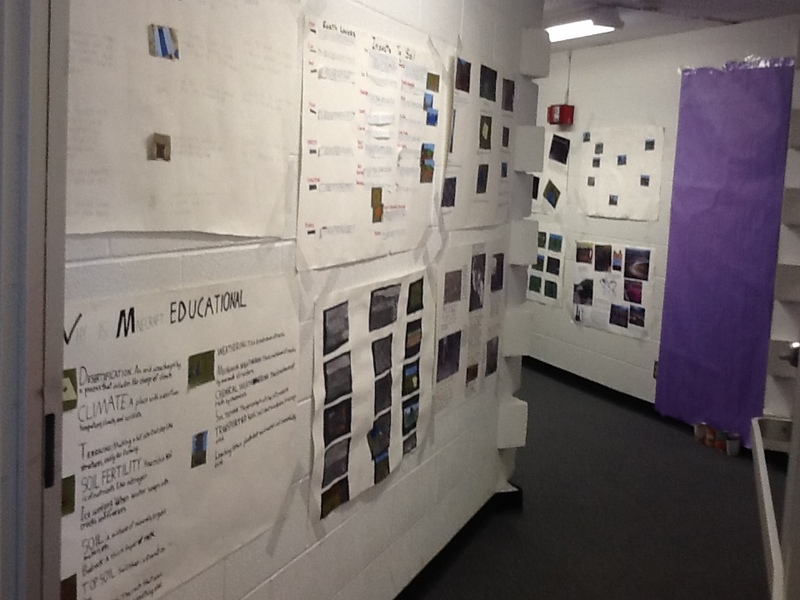 They created a Poster-board display with a common theme (topic) using 15-20 of the 53 terms/concepts that I provided. 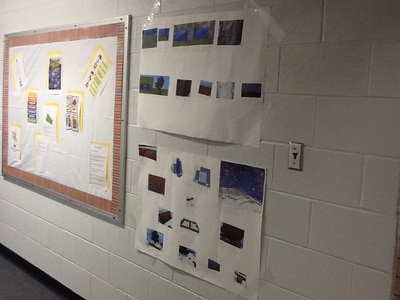 They were to relate them using pictures they found or made on Minecraft and provide explanation and definitions.